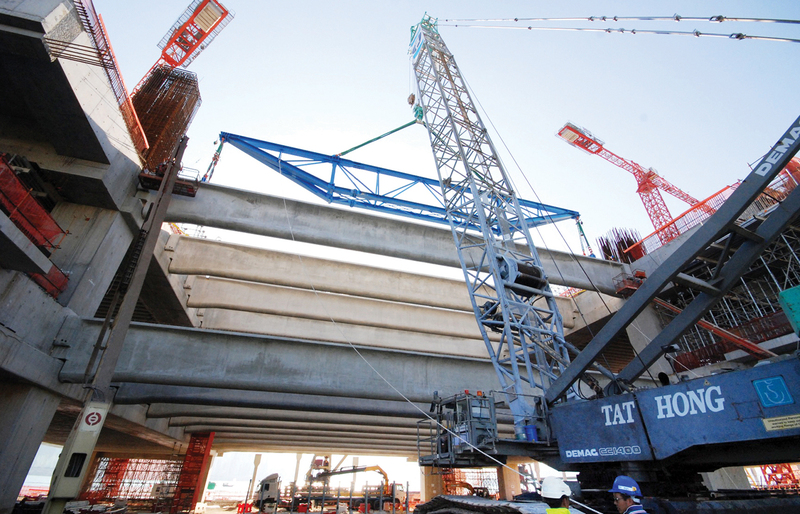 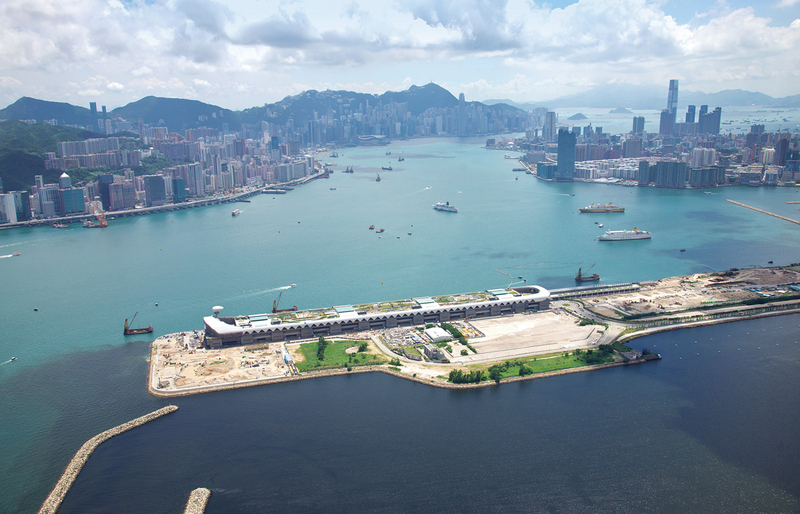 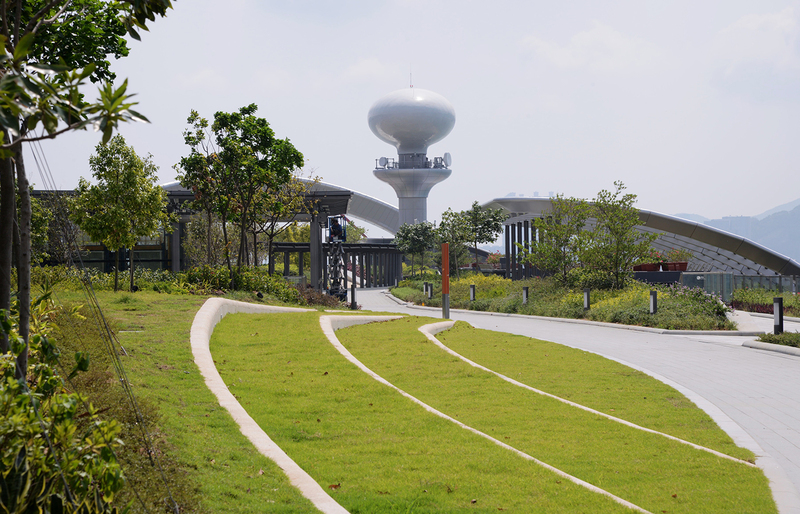 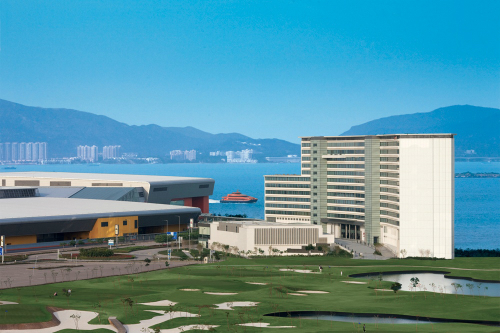 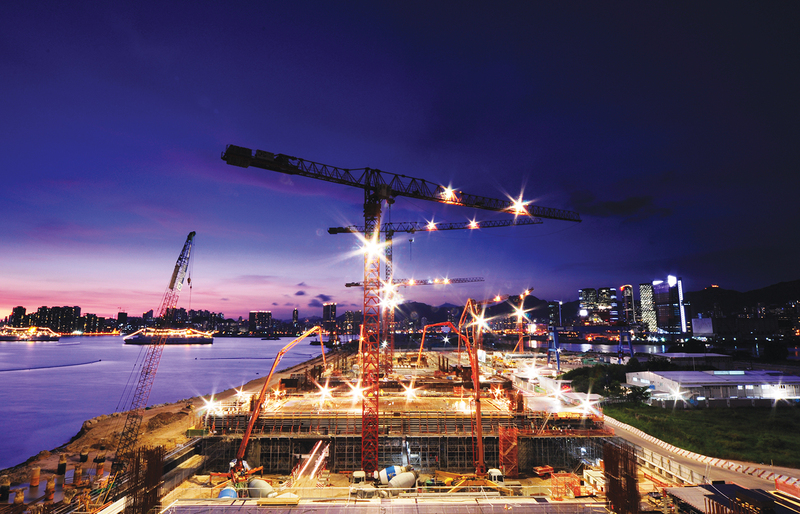 Having first arrived in Hong Kong in 1955 with a contract to reconstruct and extend the runway at Kai Tak International Airport, Dragages had the honour to build an iconic new facility on the same piece of land over half a century later. 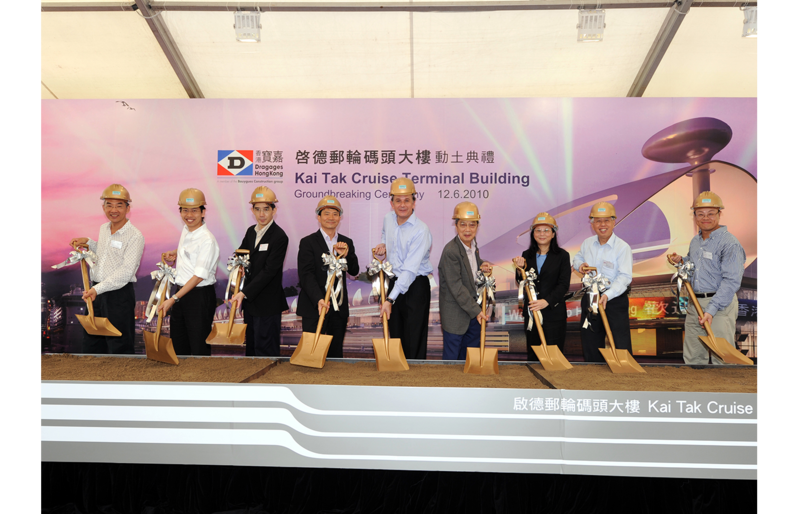 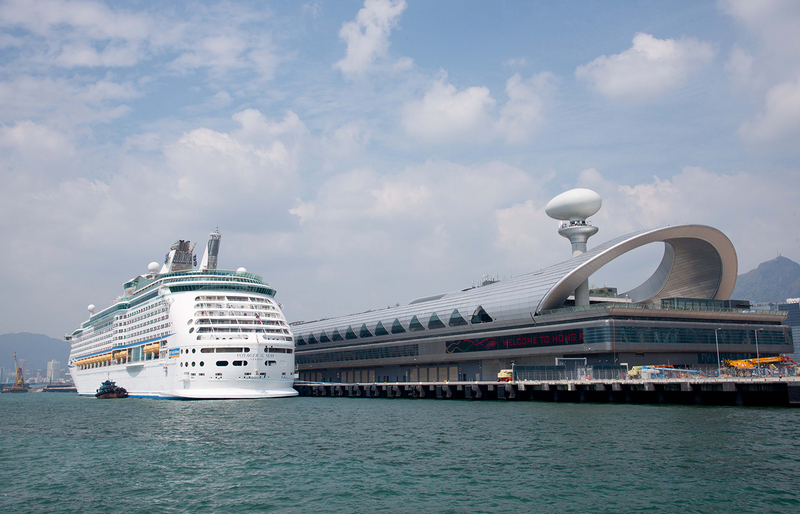 Standing proudly on the southern strip of the old runway, the Kai Tak Cruise Terminal Building is both a regional cruise hub and a landmark destination for visitors. 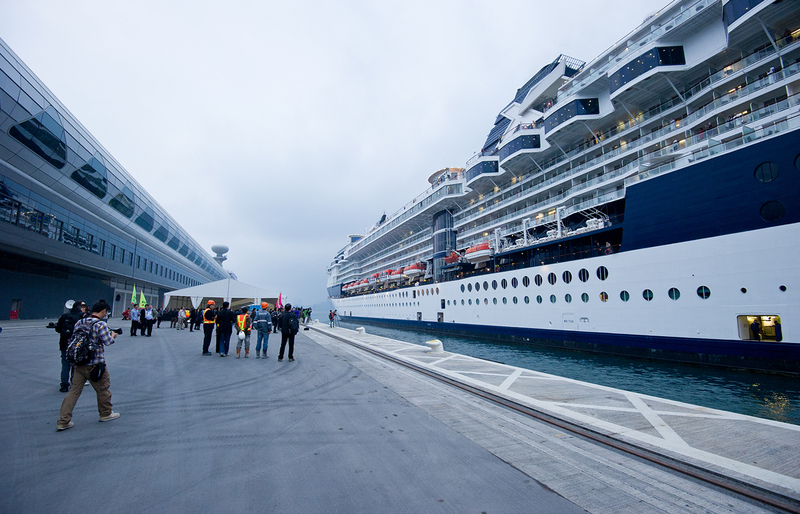 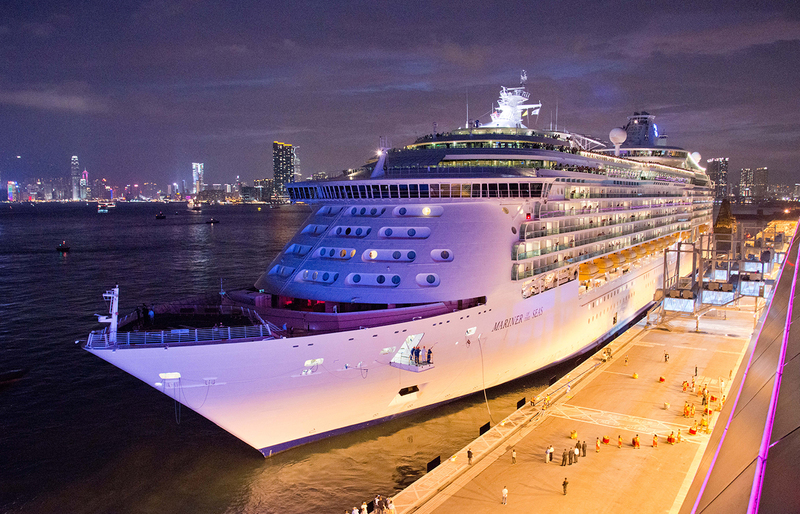 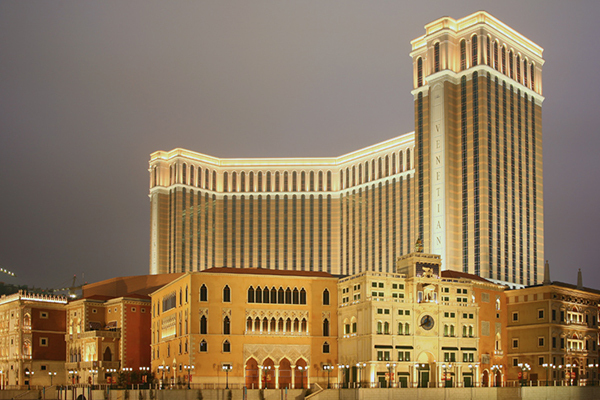 The building is a world-class cruise operation facility and is capable of accommodating the world’s largest cruise vessels. 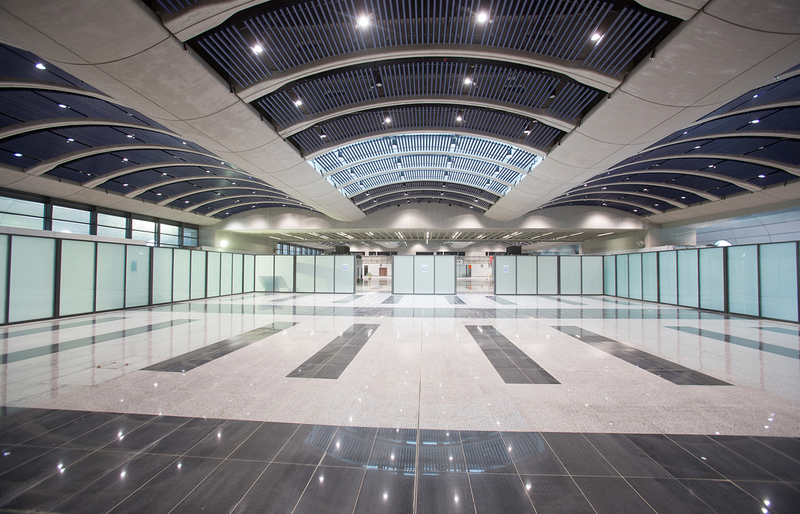 Designed to offer maximum flexibility in building usage, the 42-metre-wide span, column-free layout of the Cruise Terminal Building can be configured in various layouts, thus allowing for different uses during the non-peak season. 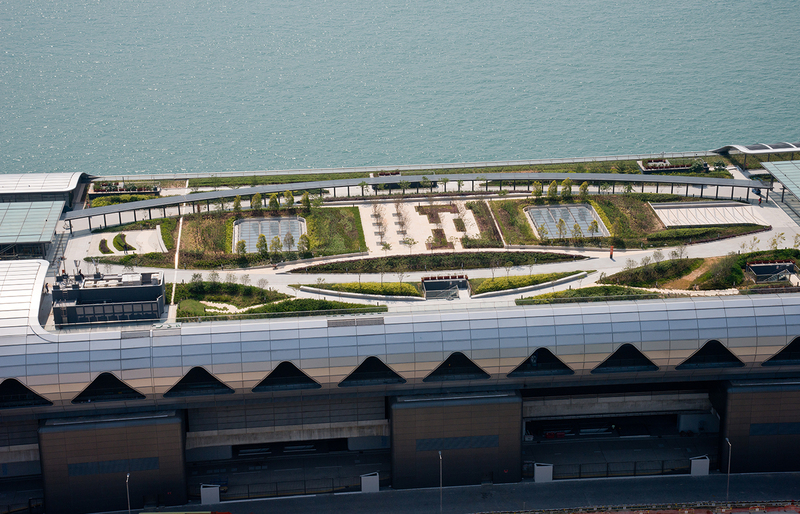 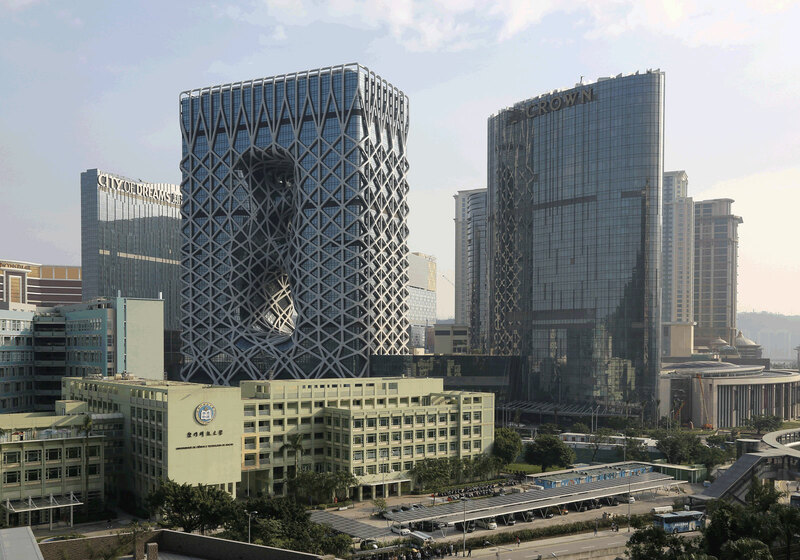 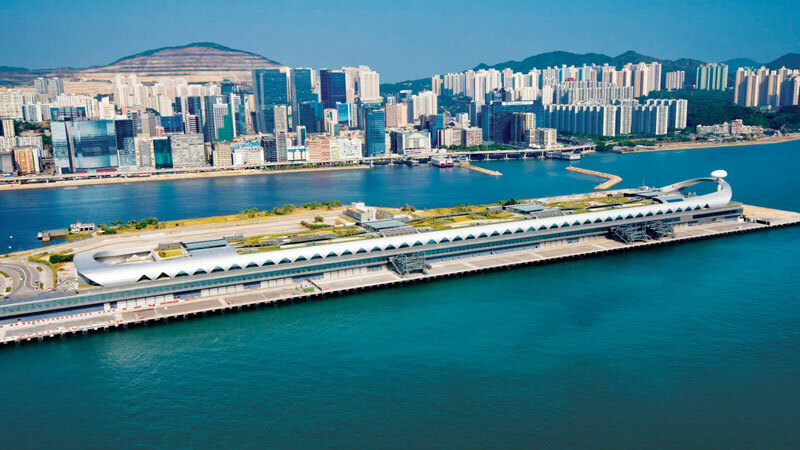 Another distinctive feature of this environmentally-friendly building is a series of connected green landscaped decks from the first level to the extensive landscaped roof garden, which is Hong Kong’s largest public roof garden. 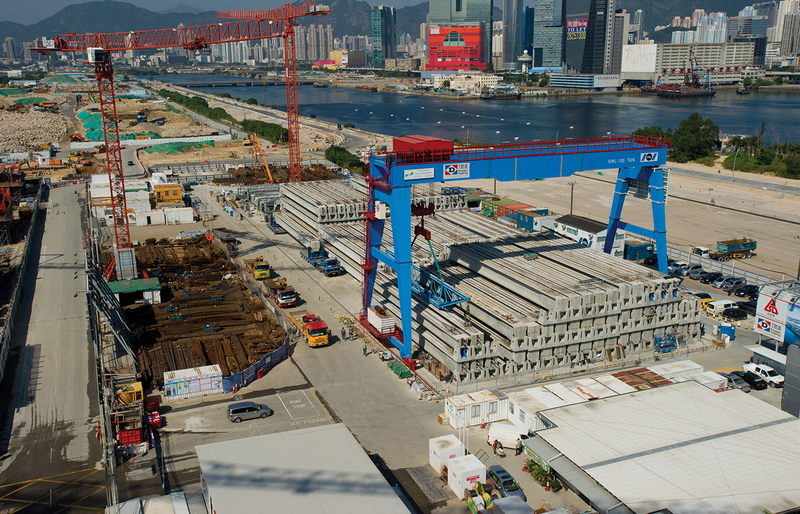 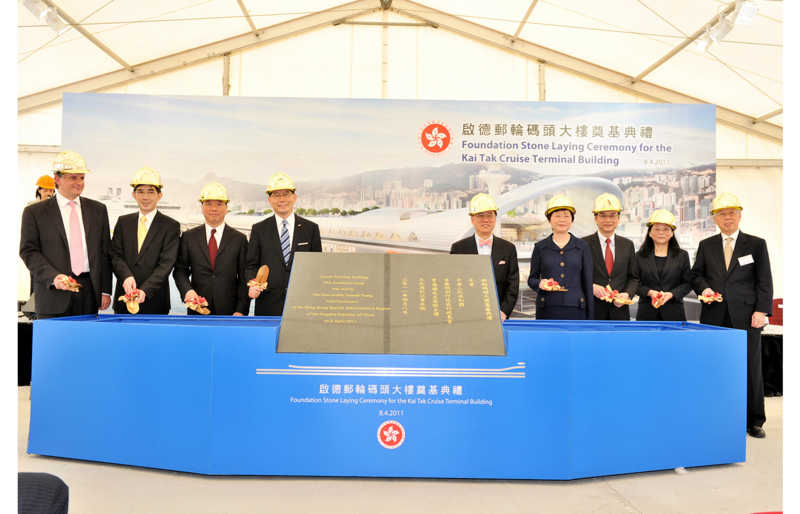 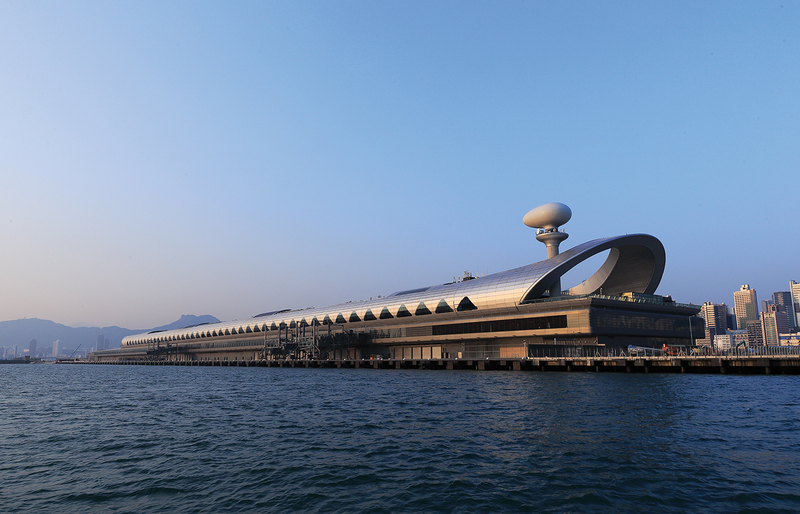 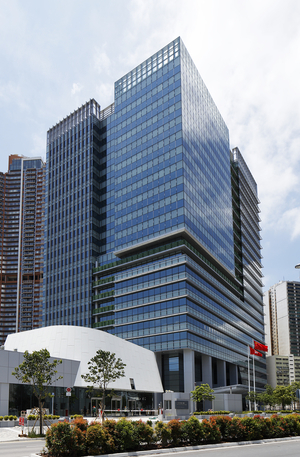 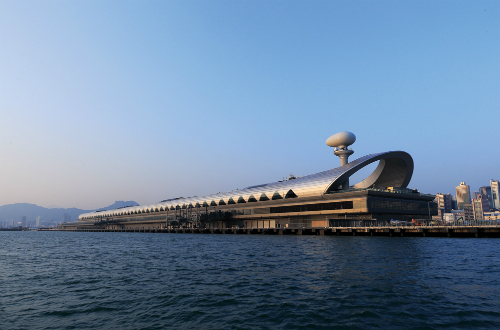 The Cruise Terminal Building was one of the first developments in Hong Kong to receive a HK BEAM Plus Platinum Rating. 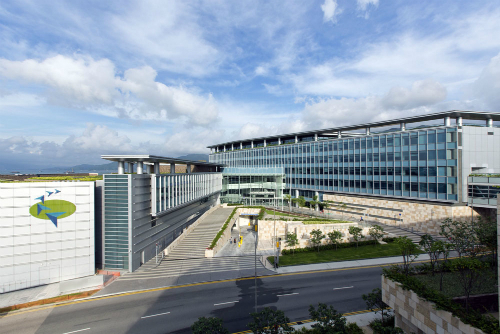 A commitment to sustainability is reflected in its low-energy design and its wide range of green features relating to energy conservation, renewable energy and recycling.